﻿ Triumph Daytona 675R – first ride! “I’ve just been out for my first 20 minute session and it’s already obvious that the marriage of the Ohlins suspension and Triumph’s brilliant three-cylinder engine is a good one. “As the track is still cold and damp the suspension settings are midway between road and track but even so the Pirelli tyres look remarkably untouched. 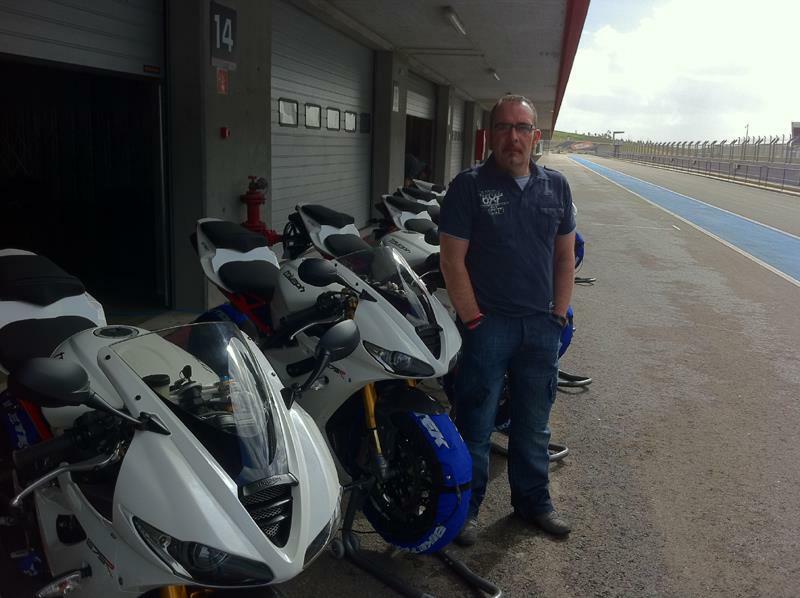 "However, weighing in at 14-and-a-half stone I wouldn’t want the rear shock to be set any firmer – some of Portimao’s undulations get the bars twitching requiring the intervention of the steering damper. “As always, the 675’s corner speed is eye-opening and the addition of the Ohlins means you can carry even more. For Trevor’s full report and analysis see next week’s Motorcycle News, out Wednesday 23rd February.